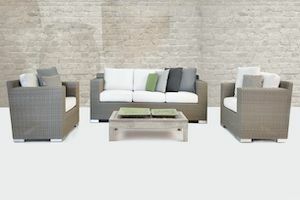 The Amalfi Large Corner Group sits perfectly on any patio or decking, providing the best in style, quality and comfort. 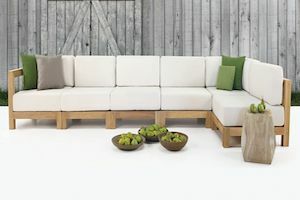 As a corner sofa, this set fits out of the way in any garden. The deep-seats seats provide hours of lasting comfort and will make your garden the envy of all our friends. The Amalfi Large Corner Group sits perfectly on any patio or decking, providing the best in style, quality and comfort. 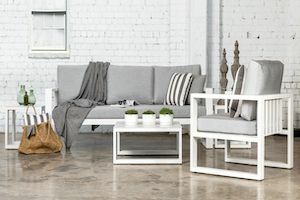 As a corner sofa, this set fits out of the way in any garden. The deep-set seats provide hours of lasting comfort and will make your garden the envy of all our friends. We're excited to introduce the new Amalfi range this year; a fantastic new aluminium range. 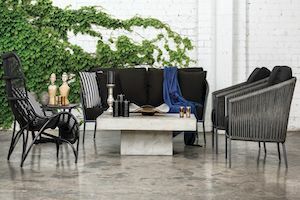 Thanks to the modern design and clean lines, any piece will instantly give your garden the contemporary look you're after. Choose between a white or black aluminium frame, with complimenting cushions. We recommend storing cushions inside overnight. 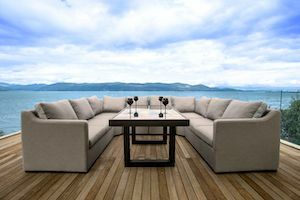 As with all Maze Rattan products, it is made from the highest quality material, woven onto a powder coated aluminium frame that ensures its use all year - even through the harshest weather. This product comes with a 12-month guarantee.